A roadside emergency can happen at any moment but knowing how to safely respond can help you feel more prepared. Whether your tire goes flat, car battery dies, or you forget to check your gas light before it hits “E”, here are five tips to help you prepare and stay safe when a roadside emergency happens to you. Have the proper tools on hand. One of the easiest ways to prepare ahead of time for a roadside emergency is having an emergency kit in your vehicle. Pre-made kits are available to buy online and in store, or you can put together your own roadside emergency kit. Tailor your kit to the weather in your area, include items that suit you and your family and have multiple kits or back-up kits. If your vehicle is able to move, drive it over to the shoulder or as far out of traffic as possible. If you need to leave your vehicle and it isn’t safe to get out on your driver’s side for any reason, exit through the passenger door. If you leave, make sure to lock your vehicle and leave a note on the windshield with a phone number in case roadside assistance or a police officer stop by. Make your vehicle visible to others. Using your hazard lights is an easy way to alert other drivers to your vehicle. 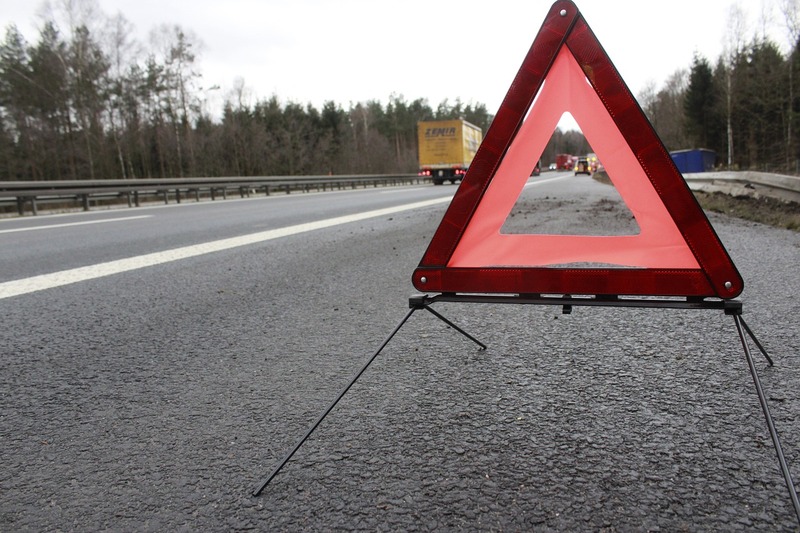 If included in your emergency kit, use flares, warning lights or a hazard triangle to better alert other drivers that your vehicle is having problems. Keep the doors locked if you stay in your vehicle, and when accepting help from strangers, always exercise good judgement. Keep your seatbelt fastened when sitting in your vehicle. If you exit your vehicle, stay far away from moving traffic. You can’t always solve a roadside emergency by yourself, which is why it’s important to call in help when you need it. Having access to a roadside assistance service can make an emergency less frightening, especially when you’re somewhere unfamiliar, when it’s dark outside or during inclement weather. Roadside assistance services can help with a variety of car problems, and it’s good to know someone has your back if something goes wrong. Check with your auto insurance carrier or car manufacturer to see if they offer on-demand roadside assistance. Remember to call 911 if it’s an emergency. We offer comprehensive insurance solutions throughout all of Ohio including, Columbus, Westerville, Zanesville, Newark, Buckeye Lake, Pataskala, Reynoldsburg, Gahanna, Cambridge, Dresden, Granville, Heath, Nashport and New Concord. At Williamson Insurance Service, we strive to provide a true, personal client experience which is unique in the insurance industry. We give clients the power of choice from top-rated national and regional insurance carriers.